Mary's On Bay Shore - It's a "Home"
It is the mission of Mary Ann Hodge & Katherine Hodge-Corrigan to enfold you, the people we serve, with competence and compassion. Friends and relations visit often and share their smiles with everyone. Everyone sings when Katie Corrigan plays the piano. 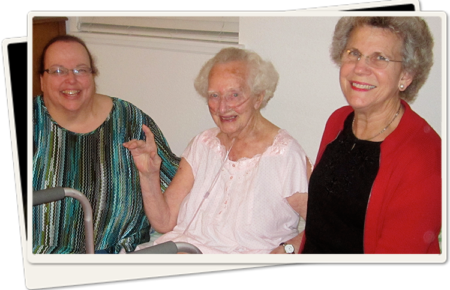 We are blessed with wonderful residents and families who become our friends. At Mary's on Bayshore your loved one is carefully cared for by a professional staff and experienced caregivers who are dedicated to serving him or her with dignity and love 24 hours a day. Our devoted staff provides the families and residents with the peace of mind and security they can rely on. 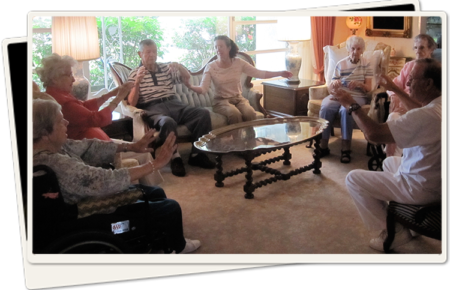 Our modest 6 bed residential care home is located in Venice, Florida. Our home services provides transportation, medication assistance, showering assistance, incontinence care, dressing assistance, diabetes care, and general supervision. Mary's on Bayshore is licensed by the State of Florida to offer the upmost care and service. Located on the Island of Venice, in our family home residence for over 40 years. Administrator, Mary Ann Hodge RN, BSN, has over 30 years nursing experience in critical and emergency care. RN administrator owner lives in home with residents and is a full-time staff person. Assistant Administrator, Katherine Hodge-Corrigan, BA Special Education, full-time staff person, 12 years experience caring for seniors. Staff maintains relevant, ongoing communications with residents’ health care provider(s). 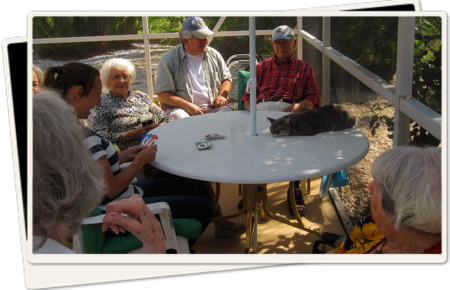 Social activities provided (12 hours a week minimum) includes Tai Chi, walks, swimming, pet and children therapy. Transportation to and from medical appointments and personal shopping available. Home-cooked meals, registered dietician approved. Home health therapy with doctor order. Don’t forget Moses, our family dog.